Lovely ranch home set back from the road amidst grape vineyards, enjoy peace and quiet and a sense of country on this 5.4 acre property! You'll love the gorgeous family room with tongue and groove vaulted ceiling and French doors that lead onto a large deck overlooking gorgeous vineyards & trees. Living room has updated vinyl plank flooring, dining area off kitchen with large pantry closet and breakfast area. Master bedroom with walk in closet and entrance to full bath. 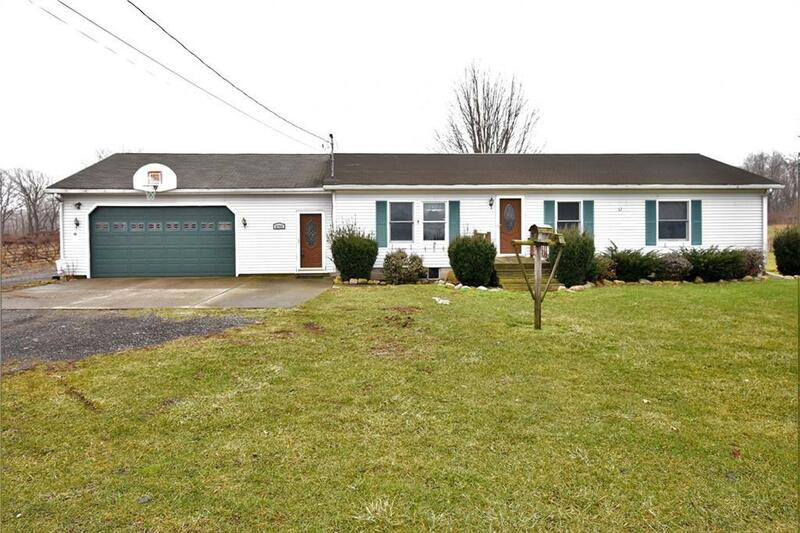 2nd full bath is conveniently located near the attached garage and backyard entrance. Dry basement with 3rd bedroom, plenty of space for a rec room, storage and more. Make this comfortable home yours today! Selling Office: Northern Chautauqua Realty, Inc.